Our company was founded in 2005 with the belief that technology solutions should make our customers’ jobs easier, not harder, at an affordable price. We provide cost-effective solutions that will meet your needs and exceed your expectations. Our Goal: Our goal is to provide you with services and solutions that exceed your expectations, at a price that you can afford. Our priority is to ensure that we fully understand your requirements and business processes before we recommend any solutions for your organization. We are in constant communication with you, ensuring you get the solutions you expect – not surprises. Our Difference: You cannot afford to let high-cost and overly complex solutions get in the way of your success. Our solutions are cost-effective – we minimize our operational complexity and overhead costs and pass on the savings to you. Our solutions are customer-focused. 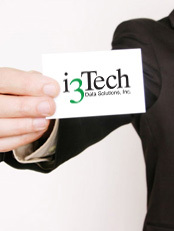 We team with you to ensure our solutions align with your strategies and processes. Our Team: Our strength comes from our highly skilled and experienced people. We provide superior services with both quality in-house personnel and with our vast network of partners, whom we leverage to provide increased geographic flexibility and technical capability. Our Experience: Our company has many years of experience providing services for a wide range of clients. Our team members generally have 15+ years of experience in providing support to an even wider base of customers.